Designing your own floral bouquets is becoming more and more popular as the year goes on. When it comes to doing your own, the sky is the limit and there are tons of options for you to get creative with. Greenery has been an incredibly hot trend this year for our brides. 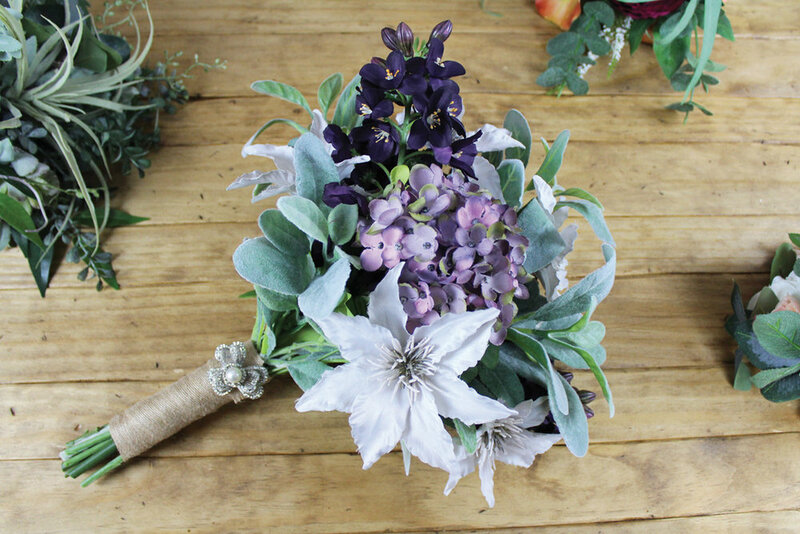 It can be designed as an entire bouquet or accented, giving it amazing texture and variety. We love that it fits into so many styles of weddings. Blush pink mixed with a burgundy or even plum adds such a nice depth and contrast to the look of a wedding! It’s a great color combo for any time of year! Lavender and tones of purple has been an eye catcher to many! It offers a nice light dusty contrast when using dusty miller or lamb’s ear to accent! Lavender creates a soft romantic look! We have many professional florists in Central Minnesota that would love to help you with the designs that you want for your wedding. Below are the Florists that we recommend for your big day! For more ideas on Wedding Florals and vendor contact information check out pages 86 - 92 in our 2018 Wedding Planner. You can request a complimentary copy of the Wedding Planner be mailed to you here: http://www.idoido.org/request-a-guide.